Just when you thought that the horror genre was in the middle of a resurgence, a film is released that somehow delivers on its promises while also being ridiculously frustrating when it strays. Ever since the release of the Rob Zombie sequel in 2009, fans of the Halloween franchise have clamored for a new (and better) entry to the series. It’s hard to believe that almost a decade has passed since Zombie’s Halloween II but, finally, a new film has officially hit theaters today. 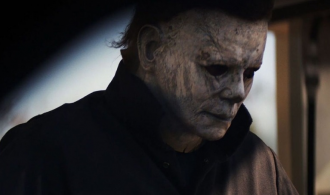 Unfortunately though, David Gordon Green’s Halloween is an irritating mishmash of John Carpenter’s original 1978 classic, its sequels, and bland slasher ripoffs of today. It’s also the third entry simply titled Halloween in the franchise despite being a sequel to (you guessed it) Halloween. Since 2009, there have been many attempts to continue the franchise with numerous people attached to the project. Patrick Lussier and Todd Farmer planned to continue Zombie’s string of sequels but dropped out after joining the crew of the Hellraiser remake which has yet to see the light of day. Patrick Melton and Marcus Dunstan, known for their work on The Collector films as well as some of the Saw sequels, planned a standalone titled Halloween Returns which was to follow the original Halloween and its sequel. However, after being delayed, Dimension Films lost the rights to the Halloween franchise. This allowed Miramax and Blumhouse Productions to acquire them. In 2016, creator John Carpenter signed on as executive producer and a much anticipated return to form was on deck. David Gordon Green and funnyman Danny McBride were tasked with screenwriting duties along with Jeff Fradley. The film serves as a direct sequel to the 1978 film and ignores every other film in the series. Michael Myers (Nick Castle/James Jude Courtney) has been locked away in Smith’s Grove Sanitarium for forty years after the infamous 1978 babysitter murders in Haddonfield, Illinois. 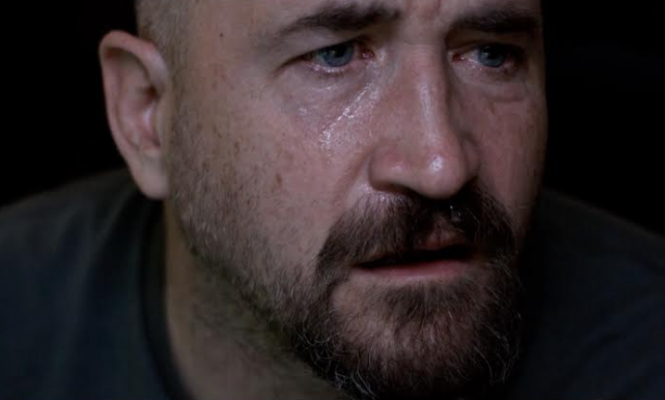 Two podcasters, Aaron Korey (Jefferson Hall) and Dana Haines (Rhian Rees), travel to the sanitarium in an attempt to interview Michael about his crimes but receive no reaction. Afterwards, they track down Laurie Strode (Jamie Lee Curtis) who suffers from post-traumatic stress disorder and awaits Michael’s return. They try to coax Laurie into meeting with Michael to find out the reasoning behind his attacks which Laurie declines. Soon after, Michael, accompanied by his psychiatrist, Dr. Sartain (Haluk Bilginer), is transported from Smith’s Grove but he crashes the bus transport and escapes. Meanwhile, Laurie’s daughter, Karen (Judy Greer), her husband, Ray (Toby Huss), and their daughter, Allyson (Andi Matichak), live a normal life. Karen tries to keep Allyson away from Laurie due to her inability to let go of the past. However, Halloween night rolls around and Michael returns to stalk the streets of Haddonfield once again. Laurie, along with the help of Officer Hawkins (Will Patton), track Michael while also trying to keep Laurie’s family safe. 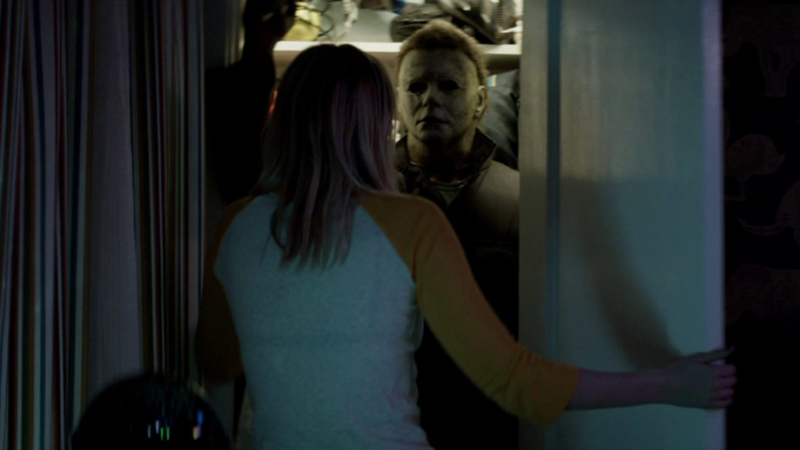 Let’s begin by discussing the positives of the 2018 version of Halloween. Firstly, it’s great to see the return of John Carpenter, Jamie Lee Curtis, and Nick Castle to the franchise. Even P.J. Soles, who plays Lynda in the original, has a cameo in the film. Curtis does a great job as Laurie. She slides back into the role while also bringing some eccentricity to the character that’s reminiscent to the late Donald Pleasence’s Dr. Samuel Loomis. Nick Castle shares duties as The Shape AKA Michael Myers but seeing Castle as an old version of Michael will give fans goosebumps. 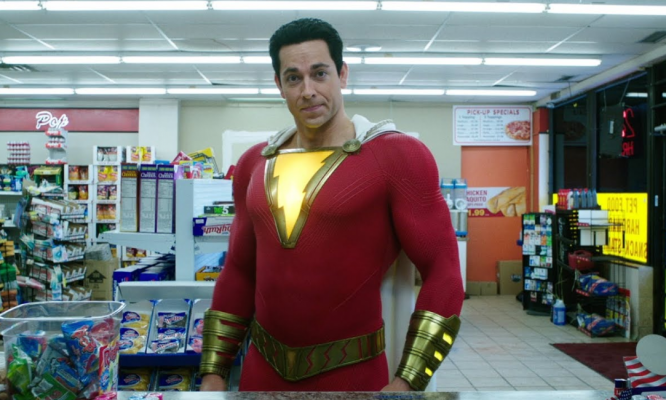 It’s a situation where you wish he played the character throughout the entire film. While Carpenter obviously isn’t onscreen, his presence is certainly felt. There are scenes that feel as if he directed them himself. Some examples are the long follow and tracking shots of Michael. They hearken back to the original film while also adding some new flair. One such shot follows Michael up to the window of a house in which his reflection is shown. Then, the camera remains static but catches Michael through another window as he walks around the side of the house. Good stuff. In addition, Carpenter handles music duties along with his son, Cody, and Daniel A. Davies. Of course, the classic Halloween theme makes an appearance. Yet, there are also original compositions that, again, pay homage to the original but provide a unique twist of their own as well. Unfortunately, that’s about where the praise ends for Halloween 2018. One of the main problems is in the sizable cast. Even as you read the plot outline above, that doesn’t even cover the full gamut of characters. There are other throwaway victims that Michael picks off upon his return to Haddonfield. In the original Halloween, Michael Myers only kills four people in 1978. As is the case with most slasher sequels, the body count is raised. Here, though, it’s safe to ask, “why?” Most of the people that Michael kills really don’t add anything to the overall story. They’re just cannon fodder. This is especially true with some of Allyson’s friends who make absolutely no impact whatsoever. Essentially, that leads to the biggest problem with Halloween. It’s far too often that storytelling is abandoned for thrills. In all fairness, when Michael first arrives in Haddonfield, it’s kind of awesome to see him walk the streets among groups of trick-or-treaters. This is something that was never really capitalized on in any of the other films. Though, when characters are merely introduced only to be killed off, the film feels a bit cheap. It’s questionable as to why the filmmakers went through all the trouble to get Jamie Lee Curtis back as Laurie and then abandon her story for large chunks of the film. It should’ve never strayed from the Strode bloodline in general. Also, the film, and the franchise overall for that mater, sorely misses Donald Pleasence as Loomis. They try to make up for it by introducing characters like Dr. Sartain and Officer Hawkins in the Charles Cyphers role from the original but neither come close to replicating the feel of their predecessors. At one point, Laurie even says to Sartain, “So, you’re the new Loomis?” That can be interpreted in more ways than one. Ultimately, David Gordon Green’s Halloween is simply frustrating. At times, it legitimately feels like Halloween and that’s when it’s at its best. Though, it steals a lot of moments from the original film, which are hit or miss, as well as many things from the sequels. Isn’t the whole point of the film to disregard the sequels? Then why bother recreating scenes from them? On top of everything, it gets a little too cute for its own good at times. The worst offense, which won’t be spoiled here, comes relatively late in the film and there’s zero payoff. 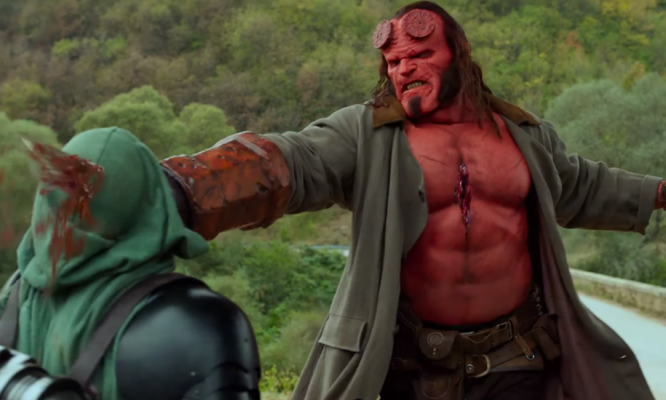 While it’s true that the film suffered through a long development, there’s no reason that it should feel so disjointed with Green and McBride as the main screenwriters and Carpenter overseeing the production. 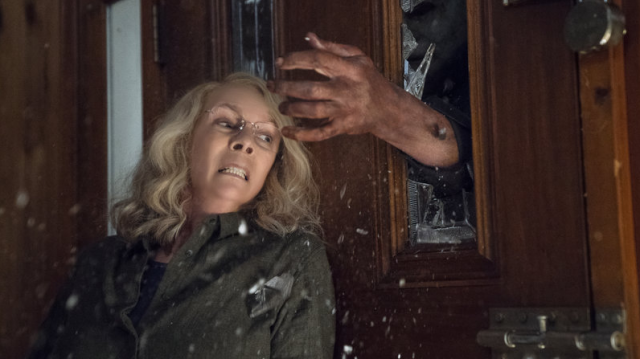 Overall, Halloween isn’t necessarily a bad film but it’s not entirely the return to form that fans had hoped for. It’s a decent sequel that will leave fans wondering what could’ve been with some fine-tuning moreso than a vehicle to usher in new fans to the franchise.